on January 23rd, 2009 (Fri). at the ground station in Tohoku University. The status of the satellite is fine. 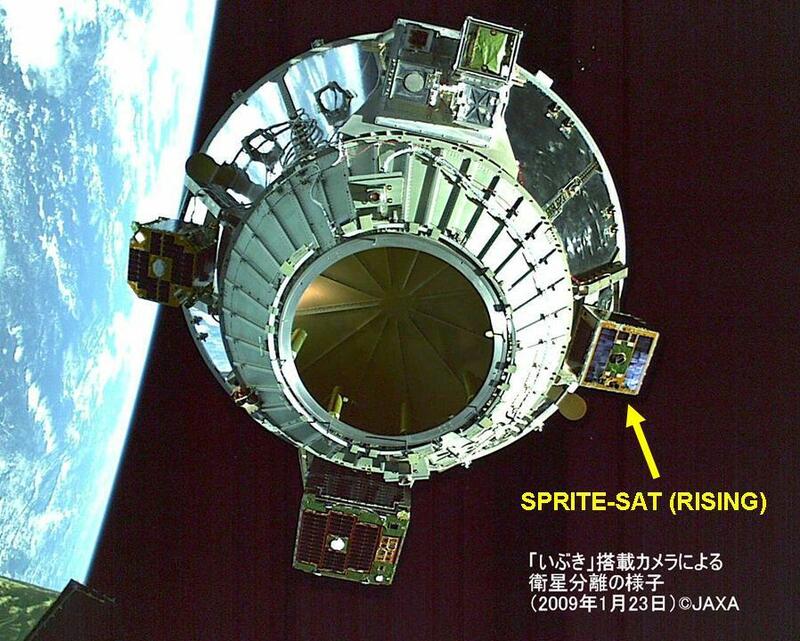 A nickname "RISING" was given to the SPRITE-SAT. "RA-I-JI-N" is the god of thunder and lightning in Japanese mythology. 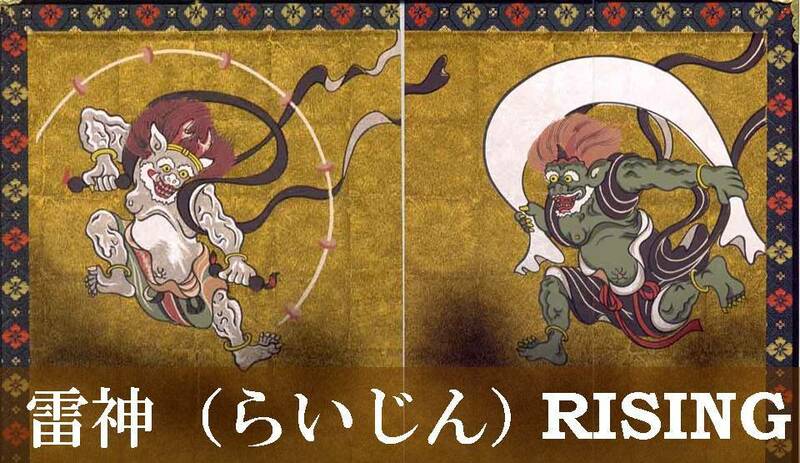 The nickname plays on the similar sound of the English word "rising" and the Japanese god "Raijin." The SPRITE-SAT (RISING) will observe upper-atmospheric lightnings called "sprites", as well as terrestrial Gamma-ray flashes (TGF) and very-low frequency (VLF) electric waves, possibly generated by the lightnings. If successful, both looking down images of sprites from outer space and the simultaneous observation of TGF and VLF will be world-first achievements. 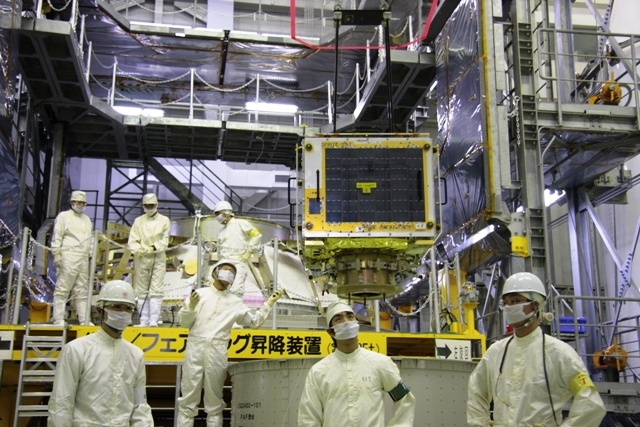 SPRITE-SAT safely arrived at JAXA's Tanegashima Space Center (TNSC), in Kagoshima prefecture, on December 16th. Then the final checkout was conducted by the SPRITE-SAT development team until 19th. Passing through a safety review on December 23th, the spacecraft was transported into the Spacecraft and Fairing Assembly Building (SFA) on 24th. 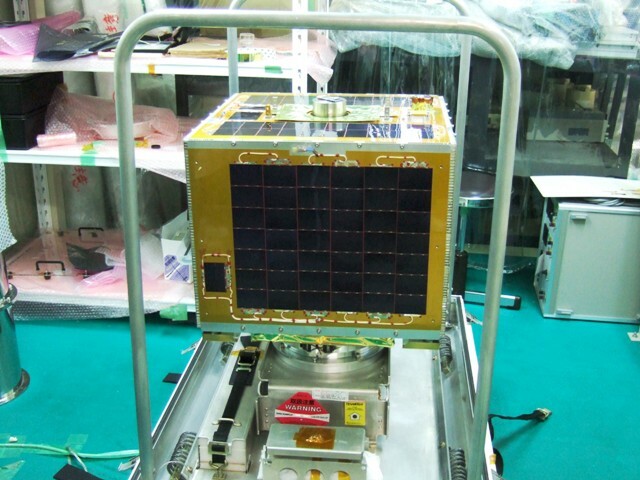 SPRITE-SAT had completed final touches of its assembling and testing processes. 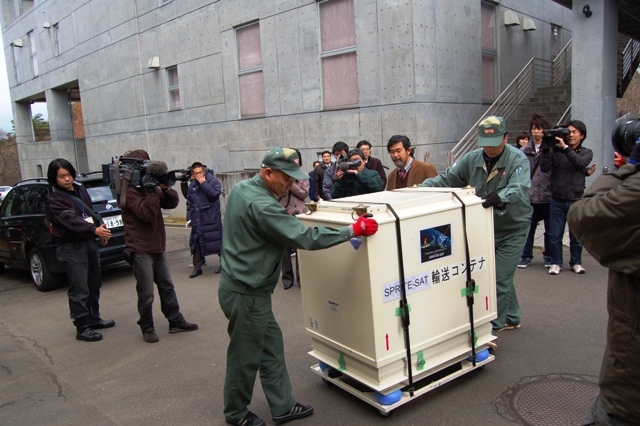 On December 12th, SPRITE-SAT was shipped out to the launch site, JAXA's Tanegashima Space Center (TNSC). 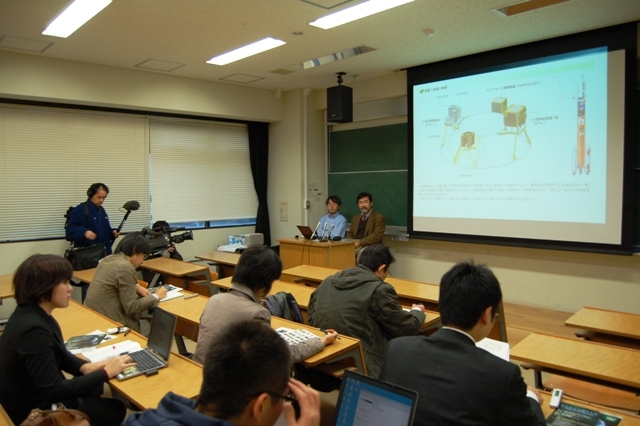 On the same day, a press conference was held in Tohoku University, and the result of the qualification tests and the schedule of launch campaign at TNSC were announced by Prof. Yukihiro Takahashi (Principal Investigator) and Prof. Kazuya Yoshida (Project Manager). 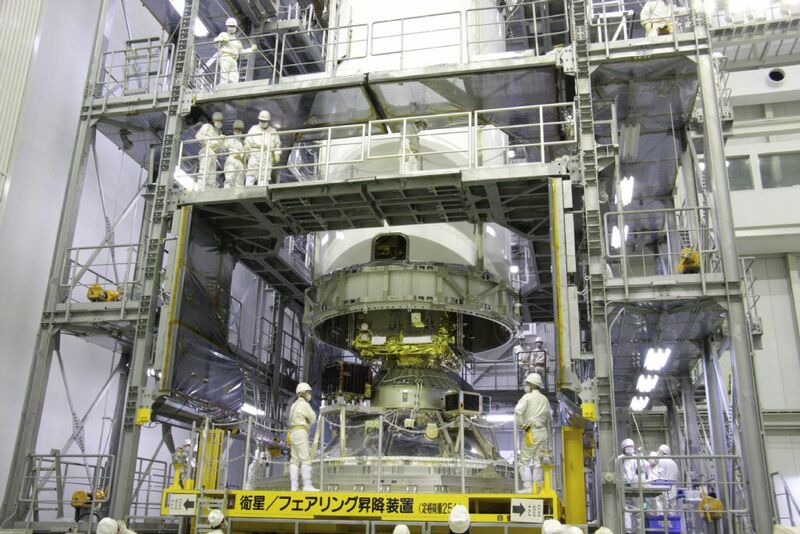 The qualification tests were conducted from the beginning of September to the end of November in JAXA's facilities in Tsukuba and Higashi-Osaka. The tests included the measurements of exterior dimensions, mass and inertia properties, shock and vibrations, out-gas evaluation, thermal and vacuum, and function of electronic assemblies in all different condisions. 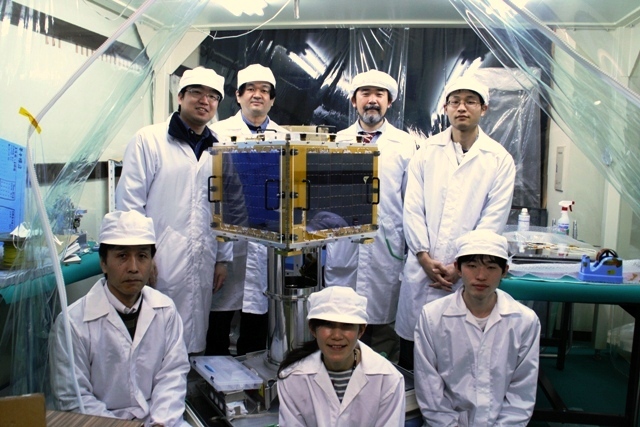 A review meeting was held on December 1st and SPRITE-SAT was qualified to "GO" for the launch! 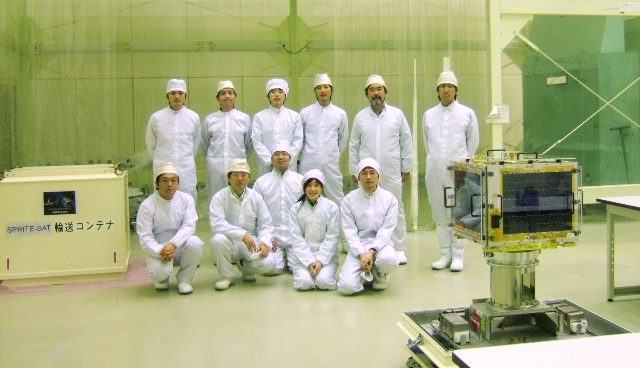 in JAXA's Tsukuba Space Center! 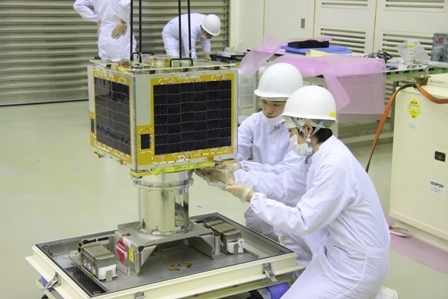 SPRITE-SAT is a micro satellite in the size of 50 cm cube and weighing less than 50-kg, under the development by Tohoku University. The satellite will conduct scientific observation of atmospheric luminous emissions called "sprites". which were first discovered in 1989. It is considered that large scale thunderstorms are capable of producing such luminous events over the clouds, but a true mechanism is still under the veil. Although extensive studies have been carried out in these years, no clear model has yet established for their horizontal structure, because it is difficult to observe from the ground based instruments. SPRITE-SAT will look down the sprites from orbit then identify the horizontal structure and physical relationships of the sprites and the cloud-to-ground lightnings. It will also provide a clear figure of the global distribution of the events. SPRITE-SAT will reveal the mechanism of such mysterious luminous events. but recent observations suggest that shorter bursts of gamma-rays occur in the earth's atmosphere. Such bursts are called the Terrestrial Gamma-ray Flashes (TGF). and a strong relationship is inferred with the thunderstorms and the transient luminous events, such as sprites. 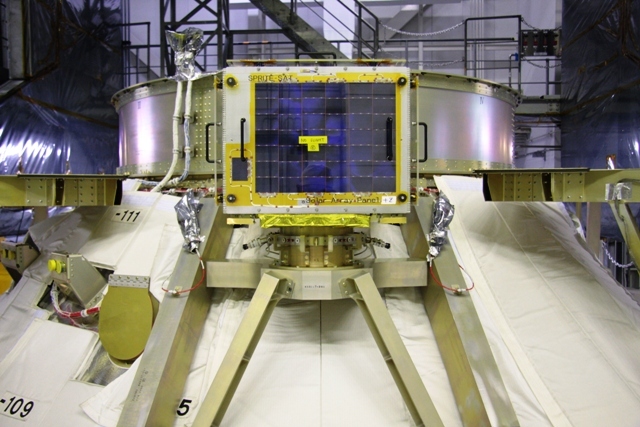 SPRITE-SAT also equips dedicated sensors to observe the TGF. Simultaneous observation of TLE and TGF, particularly with high precision on the timing of these events, will reveal a new model to describe the relationship of these phenomena. 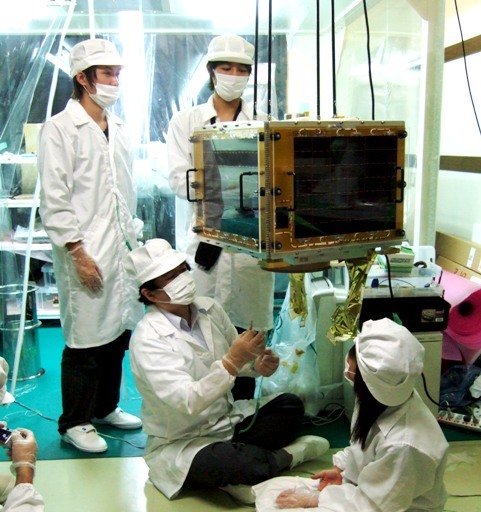 SPRITE-SAT is being developed in the Science and Engineering departments of Tohoku University. 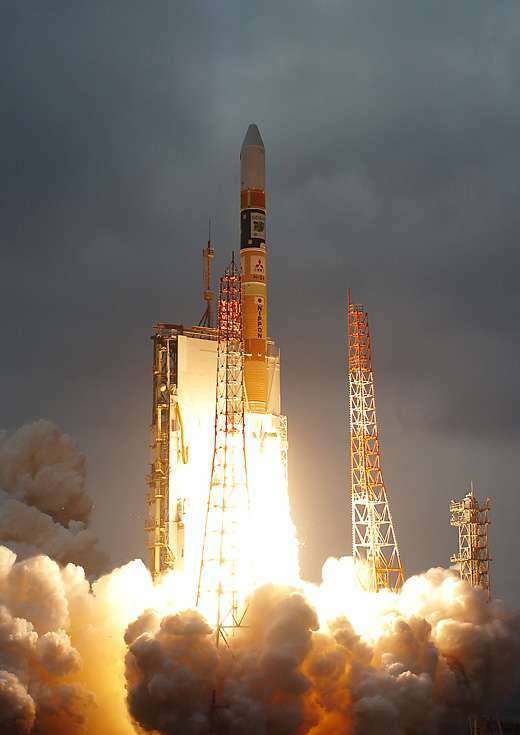 It will be launched as a piggyback payload of an H-IIA rocket for the JAXA's Greenhouse Gas Observation Satellite (GOSAT). The launch is scheduled in January 2009. The orbit will be a sun-synchronous polar orbit with 660 km altitude form the earth's surface. a large amount of budget (typically some hundred million dollars) and long period of development time (typically ten years). 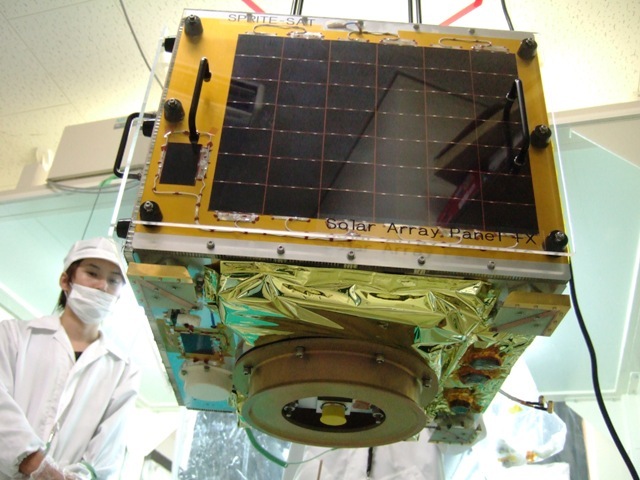 In contrast to them, novel challenges using small (micro, nano, or pico) satellites are proposed and successfully conducted by universities in these years. Advantages of such small satellites are found in low-cost and short-term development, and well-focused mission objectives. and a lot more of significant observations are needed from space. 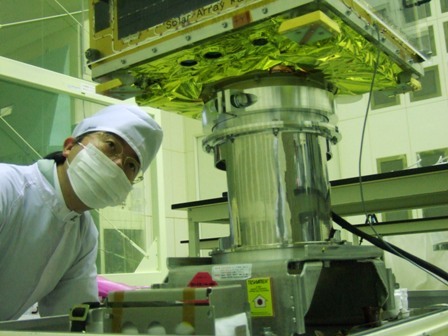 Making the most of advantages in low-cost and short-term development, SPRITE-SAT challenges to achieve a world first observation to determine a clear model on the TLE and TGF phenomena. with technical supports from mentors (well-experienced experts) of the satellite development. 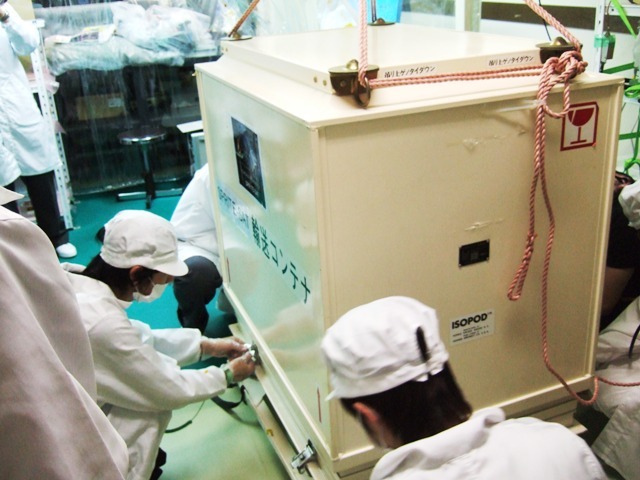 Students play leading roles in the assembling and testing processes. Through this project, the students are gaining precious experience in various aspects of a space flight mission, such as quality verification and trouble shooting. This program is therefore considered a unique opportunity for hands-on education (or project-based learning) in space science and space engineering. "A New Century for Tohoku University"